Dental bridges and crown are dental prosthetic devices that are fixed onto the existing teeth or implants by a process known as cementing. While crowns are used to cover a damaged tooth or implant, the bridges close the gap left by the missing teeth. The most significant advantage of using dental bridges and crowns is that they are not removable and are completely cemented onto the existing tooth or implant. They are so tightly fixed that they can be removed only by a dentist. They provide a firm base to the root of your teeth and helps you smile heartily and confidently 24/7. In this blog, we have cited some major reasons how bridges and crowns can bring a hearty smile on your face. Provides Relief From Pain – If you have a cracked tooth, it is bound to hurt every time you bite down. A simple remedy to overcome such a situation is a dental crown. The procedure for inserting a dental crown is extremely simple and is not painful. The dentists will replace the cracked portion of your tooth using a dental crown in just a blink of an eye. Ensures Superb Protection – Do you have a tooth that was damaged in your childhood? If the answer to the question is a ‘yes’, then a dental crown can be really helpful for you. The dentists can use it to protect your natural tooth while it’s still healthy. Helps In Root Canals – The final step of the root canal procedure involves applying a crown on the upper surface of your repaired tooth. 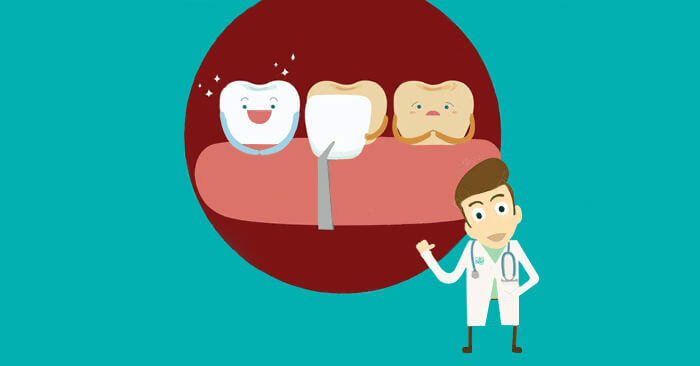 It is entirely done to protect your tooth from oral issues that might arise in the future. Perfect Replacement Of A Tooth – If your tooth is required to be extracted due to an oral issue or external injury, bridges are the perfect replacement. You can get a dental bridge inserted from your dentist even in one appointment. No Bone Grafting Is Required – This is one of the major reasons behind the popularity of dental bridges. If your bone has recessed at the place of the missing tooth, no bone grafting is required for placing the dental bridge. Extremely Affordable – A very basic question that pops up in your mind while a dentist places a dental bridge is “how much will I be charged?”. But the good news is, dental bridges are extremely affordable and never digs a hole in your finances. And the best part is, you can ask the dentist to use a bridge in sync with your budget. If you are a resident of Kellar City, Texas, and are in desperate need of dental bridges and crown to smile up to your heart’s content, then search no more! Our expert dentists at ABC123Dental, with years of experience and knowledge, even in the intricate matters of dentistry have got you covered. Visit our clinic today, or dial our contact numbers (817) 484 – 0705/ (817) 656 – 1215 to book an appointment.